Portrait of Mrs. Juliette Lovejoy. Juliette was the daughter of Julia Hardy Lovejoy and the wife of Dr. Samuel Whitehorn. 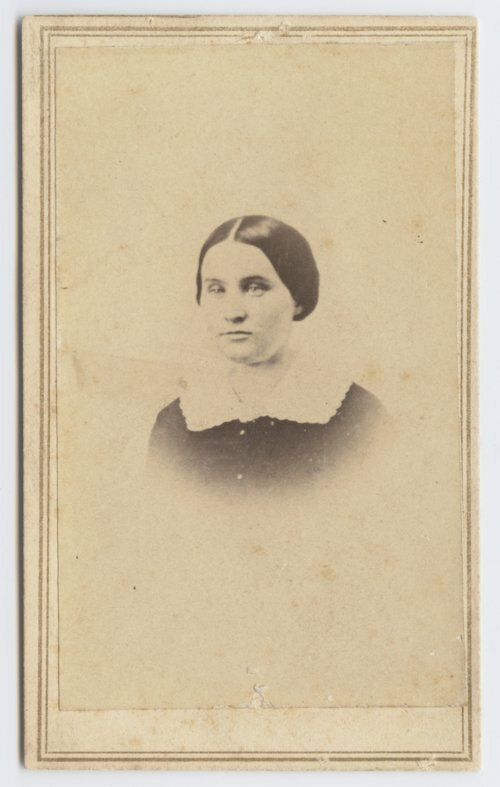 Juliette died of typhoid fever on November 20, 1860 at Manhattan, Kansas.